A sweet and simple Pug brooch. A super cute Pug brooch, featuring the adorable little face of Peggy Sue the Pug! This brooch is part of my brand new collection of laser cut jewellery; minimalist in style, and made simply from birch plywood, with a small silver plated brooch pin to the back. 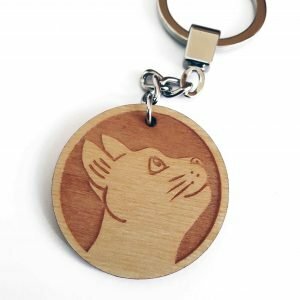 Peggy Sue is laser-engraved into 3mm birch plywood (the wooden brooch measures 3 cm in diameter). After laser engraving is complete, I then sand and varnish the wooden tile, using a subtle, clear matte varnish. Lightly varnishing the wood ensures it’s strong enough for daily ware, and protects it from the elements. After sanding and varnishing, I attach the silver plated brooch pin to the reverse – the pin measures 19mm across – and, voile, your Pug brooch is complete! The pug brooch is beautifully presented in an eco-friendly, kraft jewellery box, as shown in the listing images. 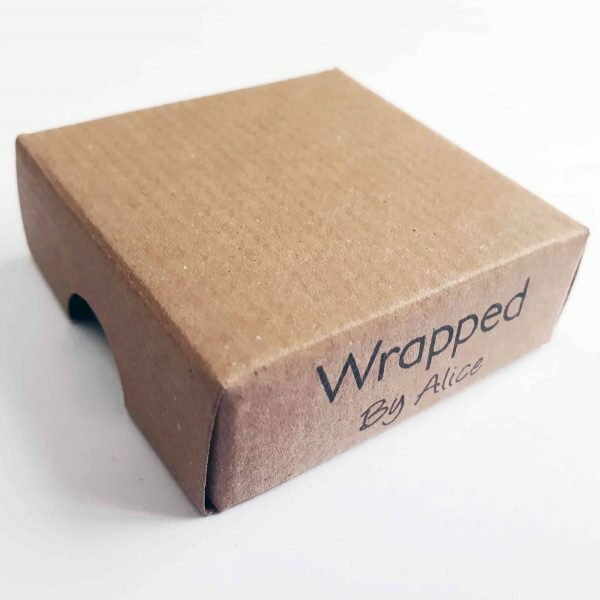 The box measures 5 cm x 5 cm x 1.7 cm, and is made from 100% recycled materials, and is itself 100% recyclable.